Having a quality ski jacket that works for various occasions could be every skier's dream. Now with the Columbia Ten Falls Interchangeable 3-in-1 Insulated Ski Jacket, you can make that dream a reality! This performance ski jacket is actually three jackets in one, as it comes with a waterproof outer shell and an inner fleece layer that can be zipped out. That means you get three jackets - the lighter zip-in jacket, the outer piece, and the combination of the two. The outer shell is waterproof and made from ripstop fabric, an exceedingly-durable fabric, that’s designed to resist abrasion during high-intensity activities. With 100g of insulation to keep you warm and a totally waterproof and breathable finish, you’re sure to find the perfect combination of layers for any weather this winter when you wear the high-tech Ten Falls Interchangeable Jacket. "Thank you for your inquiry. Columbia jackets are manufactured in South East Asia. We hope this information helps!" "Thank you for your inquiry. 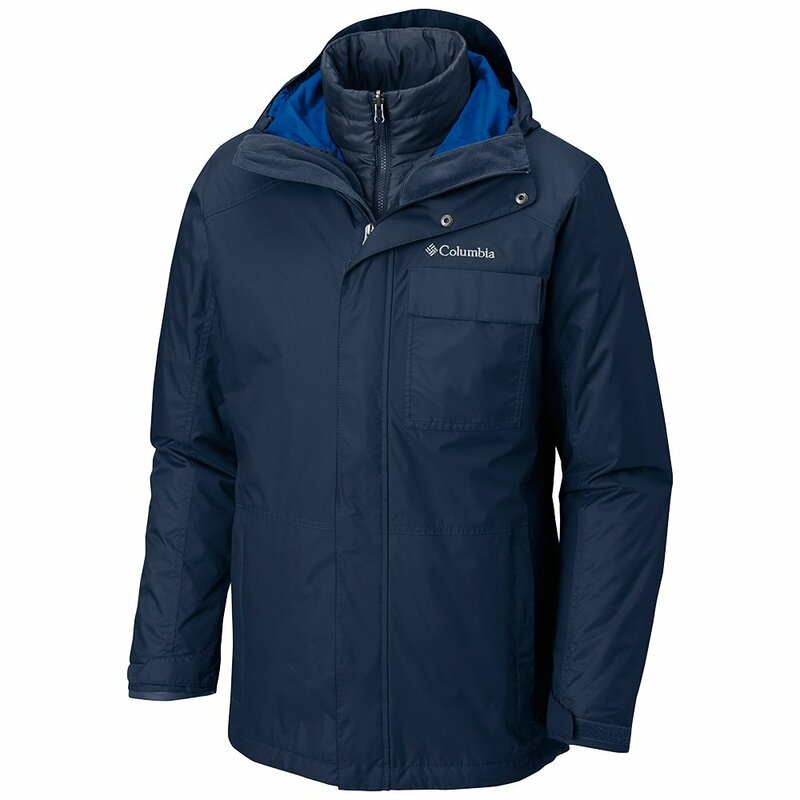 The Columbia Ten Falls Interchangeable 3-in-1 Insulated Ski Jacket has insulation amount of 100 grams but no rating temperature rating is provided. We hope this information helps! " "In which country is the jacket made?" "Thank you for your inquiry. Columbia jackets are manufactured in South East Asia. We hope this information helps"